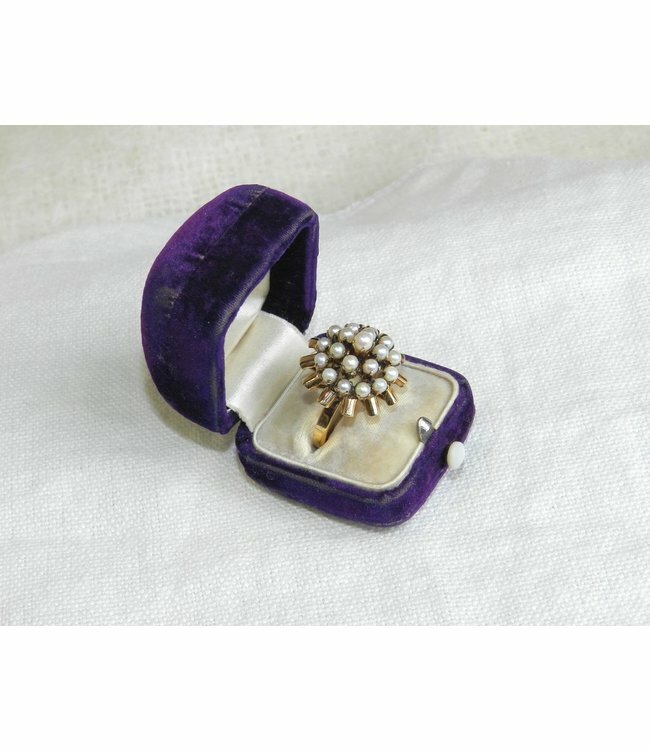 PEARL RING 18K GOLD PRONG SET SZ 7.5 Redefine the classic Pearls with the unique 18K Gold and Pearl Ring. Vintage Condition: Perfect Item Details: 19 3mm Freshwater Pearls Prong Set in a Pyramid Cone 12 18K Gold Cylinders surrounding the Pearls 18K Gold Band Cone measures approx. 5/8 Inch This ring is a size 7.5 Please email for larger images.